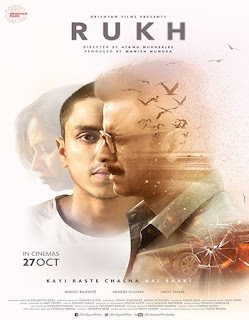 Rukh 2017 | FunToMovies 300 Movies '+g+"
Story:-Away from home in a boarding school, 18-year-old Dhruv Mathur (Adarsh Gourav) is ignorant about the ongoing crisis in his family. His life takes an unexpected turn as he gets the news of his father Diwakar Mathur’s (Manoj Bajpayee) death in a car accident. As he copes with the tragedy, hidden truths begin to unravel. Even as his mother Nandini (Smita Tambe) struggles to shield him, Dhruv starts looking for answers.